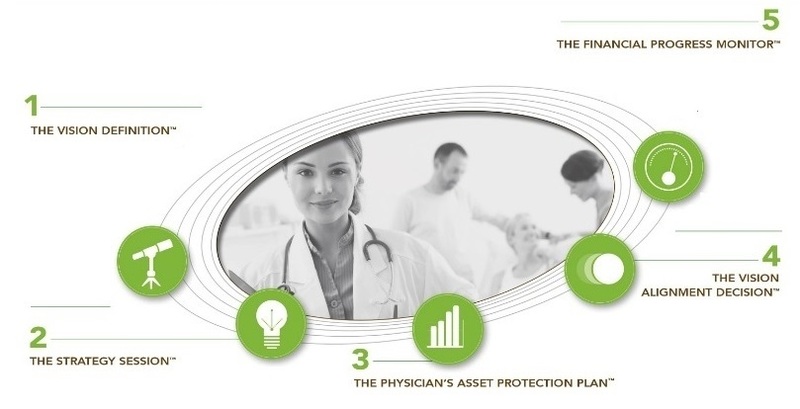 The Physician’s Asset Protection Solution is designed to alleviate your concern over potential risks such as losing your hard-earned assets in a malpractice judgement. We work closely with your team of advisors – accountant, attorney, pension administrator, etc. - to help ensure that you reap the rewards of your success as a dedicated medical professional. Our process begins with a personal interview designed to alleviate your concern over potential risks such as losing your hard-earned assets in a malpractice judgment. Out of this stage emerges a customized game plan to help you articulate your vision of how to shield your wealth from unexpected risk before it’s too late. In the Strategy Session™, we organize your financial documents and build a detailed profile so that we may precisely understand your personal balance sheet; identify risks that can adversely affect not only your individual assets but also your valuable receivables; and address them in the context of your current plan. By carefully arranging your affairs and records, you’ll gain confidence in knowing where you’ve been and where you’re heading. Applying our knowledge of current issues affecting medical professionals, we prepare and offer recommendations that compare your current financial condition to alternative models using clear, understandable language. An outcome of this stage is an integrated retirement, estate and asset protection plan that reflects input from a team of knowledgeable professionals. With goals in sight, great care is taken to ensure that your implemented plan is aligned with your vision. As your unifying voice in the planning process, we create a well-defined action plan that contains sequenced steps, guidelines and due dates. We provide an objective evaluation of possible funding methods that may enjoy favorable creditor treatment in the state of Florida, such as properly structured annuities and life insurance. To ensure that you have adequate resources for yourself and future generations, we establish regular reviews to gauge your plan’s performance, and make adjustments for changing laws, regulations, market conditions, and investment performance. This commitment to measure your progress also takes into account your changing personal and business financial circumstances.